Spirit Roots is a fun old-school 2D platformer from Fireart Studio, with a touching story and a happy ending. Your journey will take you through five atmospheric worlds, each with its own unique gameplay mechanics, enemies, and level design. Defeat the enemies to return to your family. Immerse yourself in a world populated by the many species of merciless flora and fauna found on the Stitched-Together Planet on the outskirts of the star system. 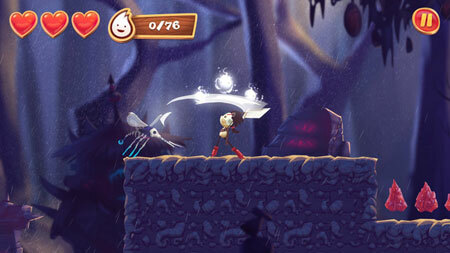 The game features 50 various levels and 10 kinds of enemies. If you get stuck in the game, check out the video walkthrough and gameplay for the game. This entry was posted in PC Games, Walkthrough and tagged Spirit Roots Cheats, Spirit Roots Gameplay, Spirit Roots Guide, Spirit Roots Solutions, Spirit Roots Strategy, Spirit Roots Tutorial, Spirit Roots Walkthrough by Marvin. Bookmark the permalink.